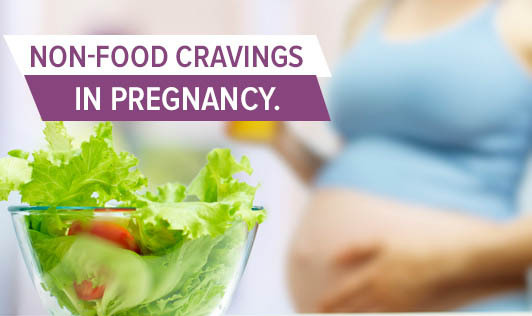 Craving for unusual foods and food combinations during pregnancy are common among pregnant women. But cravings for nonfood items are of concern to the health of the fetus and mother. If you are one of those experiencing these unusual cravings, then read through to understand more about it. PICA, is the term used to explain this craving for nonfood substances with little or no nutritional value. A survey showed that a majority of pregnant women experience non-food cravings during pregnancy, and the reason for it is uncertain. But according to an article cited in the Journal of the American Dietetic Association, PICA could be connected to a deficiency of calcium and iron. PICA typically includes a craving for items like sand, burnt matches, ice, corn starch, soap, clay, paint chips and chalk. Eating these non-food items is potentially harmful to the baby and to yourself. These substances not only interfere with the absorption of nutrients, but can also lead to toxicity and might contain parasitic agents. Do not panic if you have non-food cravings. It is natural and common. But the most important thing is to inform your health care provider about your cravings and make sure you have a complete understanding of the risks of your nonfood cravings. • Get your prenatal records reviewed and inform your health care professional. • Get your nutritional status monitored. • Learn about healthy substitutes for your cravings from your health care provider. • Talk to your friend about PICA. This could give you a sense of support and help to get over these cravings.